Renowned Metal Producer, Shanghai Metal Corporation continues to prove their worth in the metal production niche with a variety of stainless steel precision foil, stripe and tape productions. With their years of experience in the production and distribution of metal products they have been able to make the perfect stainless steel part useful for industrial projects. Shanghai Metal Corporation is considered the best option when shopping for stainless steel parts. The stainless steel foil from Shanghai Metal Corp is a Precision stainless steel foil designed to have a resistance to corrosion. This improved resistance to corrosion is due to its qualitative and quantitative chemical properties used in production by Shanghai Metal Corp. This precision stainless steel foil is also a good electricity and heat resistant. 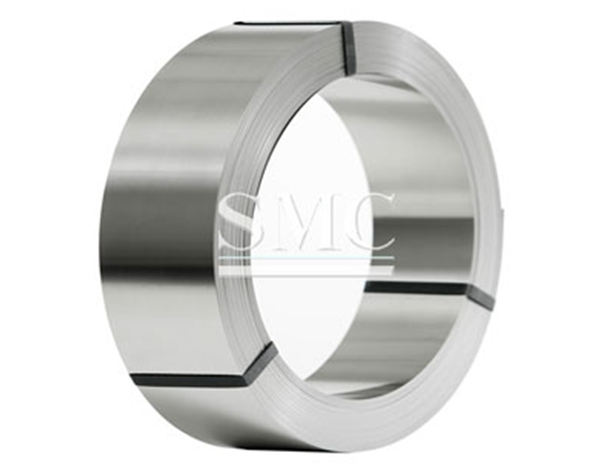 Manufactured to be uniquely flat and a little bit thin, this stainless steel foil possesses a high creep strength which is supported by additional alloys during the humid atmospheres. This stainless steel foil has a rich quality required for various production purposes. It is used in turbine machines manufacture and other heating parts. Due to its provision of increased strength and also its ability to resist high temperatures with minimal corrosion, it has been applied for use in Heat Exchangers, Aerospace sector, and in the medical sector as an instrument during surgical procedures. This Stainless steel precision stripe is known to be used regularly for its detailed design and top quality which Shanghai Metal Corp. ensures is consistent. The design plays an important role in maintaining its good properties such as high strength, hardness and workability. A customized design to meet customers’ needs or standards is also available as collaboration with customers opens a way for production of variety of designs, considered appropriate in terms of application, functionality and attractiveness. At Shanghai Metal Corporation the necessary technological facilities used in the production of broad range of stainless steel and its designs is available 24/7. With variations in customers’ needs and demands, Shanghai Metal Corp always encourages a collaboration with its loyal customers. Shanghai Metal Corporation is a renowned company playing a key role in the production and supply of Metal products, Machinery and parts, Electric system, and also in the Construction industry. With over 30 years’ experience in the industry, Shanghai Metal Corporation has contributed majorly in advancement of production and manufacturing in areas such as: high quality aluminum, copper, stainless steel, carbon steel, galvanized steel, steel structure. The main product they manufacture include; coil, strip, foil, pipe, sheet, bar, fitting. For the business aspect they base in the Industry Service, and can supply the machinery and parts, Electric system, and Construction project for various businesses, Shanghai Metal Corporation – is the no.1 trusted manufacturer and partner in China.